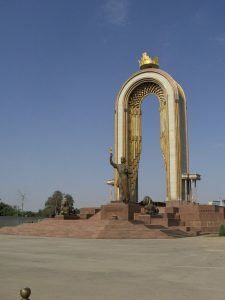 Whilst Tajikistan is fairly unknown as a tourist destination, it is proving more popular among travellers. Not only is the country peaceful, but you will be greeted by breathtaking peaks, arid canyons, vast crystalline lakes and verdant forests – perfect scenery for hiking and mountaineering enthusiasts. History lovers will also be in their element with the discovery of many timeless relics. In the capital Dushanbe, you will be surprised to see the National Museum of the ancient. You will also have to see the famous Adjina-Tepe Buddhist Monastery. Before you go, try the typical dishes of Tajikistan like plov, or a gourmet dish with the ingredients of rice vegetables and meat. The Health Care system in Tajikistan remains unstable following the departure of many health professionals during the civil war due to the Soviet Union collapse. Some hospitals even fail to provide electricity or running water. Even the most basic medicines are hard to find, as the country is experiencing a shortage of medical supplies. If you plan to visit Tajikistan, note that the Prospekt Medical Dushanbe treats expats. This center was founded in partnership with the Boulder Community Hospital in the United States, Colorado. You can find an equivalent service in Konibodom. Tajikistan health services do not cater for more serious incidents or illnesses, and therefore medical evacuation is necessary. It is therefore essential to pack a pharmacy kit with basic drugs and your usual prescriptions. Is Tajikistan Safe for Travel? Do I Need a Visa to Visit Tajikistan? Both, a visa and a passport are required to enter Tajikistan. Your passport must be valid for at least six months beyond the visa’s date of issue and 60 days beyond the time of entry. Please note that this is the website for the Canadian Embassy in Kazakhstan. There is no Canadian government office in Tajikistan.